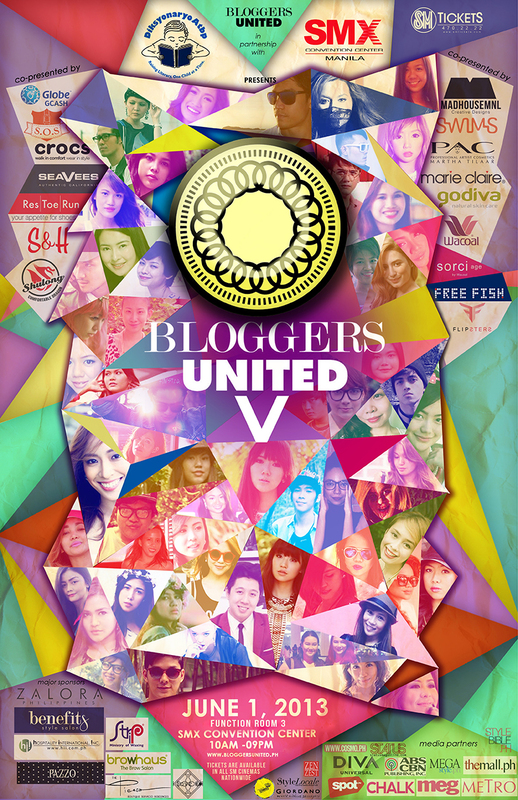 I can’t believe we’re already on the 5th installment of Bloggers United. How time flies! Can I expect you there? I’m selling tons of my preloved stuff again. You know me, I don’t skimp on the goods. LOL! I always bring my entire closet, if not house, with me, remember? If the past four Bloggers United bazaars have taught you guys anything, it’s that the early bird catches the worm. So please, if you want the best pieces, come early! Doors open by 10am at the SMX Convention Center, Function Room 3. We’ll be there until 8pm. When you’re done shopping up a storm at your favorite bloggers’ stalls (*cough*cough* that better include mine *cough*), you can also check out Bloggers United’s partner bazaar, The Great Luxe Sale by the Mall of Asia and SMX, happening at Hall 1. You will go mad at the crazy crazy deals! To give you just a little taste of the preloved items I’m selling tomorrow, here’s a collage of some of them. Having done four Bloggers United bazaars already, the items just keep getting better! As usual, I priced them really really low. (I’m generous like that!) All the clothes I’m selling are priced between P80-P550; shoes at P100-P550; accessories at P10-P100; and bags at P150-P6000 (that’s for the never-been-used Fendi tote I’m selling). For your information, my shoe size is 7. My sister is selling her items too so girls with size 5 feet, you can shop from her shoe collection! Aside from fashion items, I’m selling a few gadgets and gadget accessories as well. This is going to be one big shopping party! Make sure you have your wallets (and cameras) ready! Tickets to Bloggers United 5 are available at all SM Cinemas nationwide and at the event venue itself for P100. When you get to the bazaar, you may also want to contribute to Bloggers United 5’s partner charity Diksyunaryo Atbp. Just bring old (or new) books and donate them by dropping them off at the registration booth. Official Hashtag for tomorrow’s event is #BU5. See you all there! I’ll personally be at my booth at around 3pm or so. I can’t wait to meet you all once again! 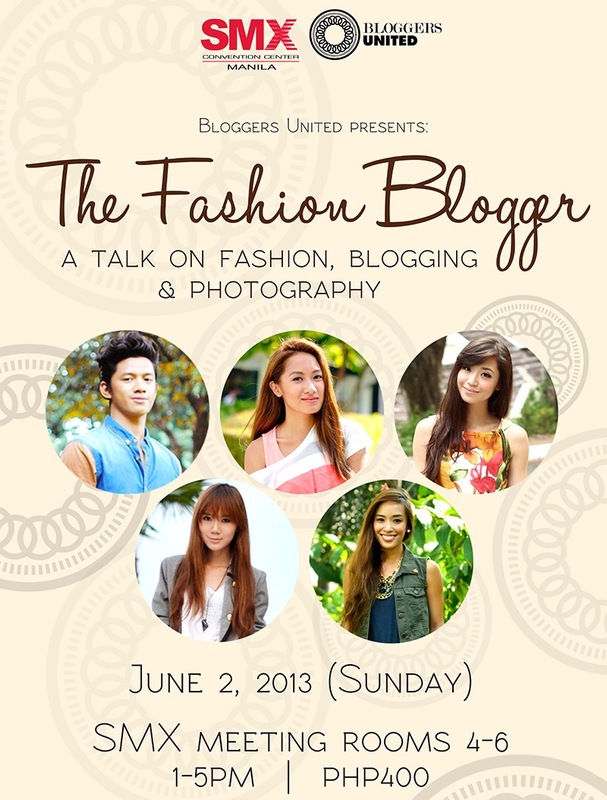 :) If you still have time on Sunday, you may also want to attend The Fashion Blogger Talk arranged by Bloggers United as well. I’m one of the speakers, together with Laureen, Kryz, Lissa and David. We’ll let you in on everything and anything you want to know about fashion blogging. Tickets are available at all SM Cinemas nationwide for P400. The talk will last from 1-5pm at SMX Meeting Rooms 4 – 6. Isn’t Bloggers United just awesome?!!?! Follow Bloggers United on Facebook, Twitter and Instagram. BU5 is made possible in partnership with Diskyonaryo ATBP., SMX Convention Center and SM Tickets; co-presenters Benefits Style Salon, Crocs, Flipsters, Free Fish, Godiva Natural Skin Care, MadhouseMNL, Marie Claire, PAC The Professional Artist Cosmetics, Res | Toe | Run, S&H, SeaVees, Shulong, Sorci Age by Wacoal, Swims, The School of Satchel and Wacoal; major sponsors Browhaus, Hospitality International, Inc., I Love KOI Swimwear, Pazzo, Strip: Ministry of Waxing, The Picasso Boutique Services Residences and Zalora Philippines; minor sponsors Beauty & Butter Salon, Giordano, Style Locale, ZenZest and Rockport; media sponsors Stylebible.ph, Cosmo.ph, ABS-CBN Publishing, Inc., Diva Universal, Chalk Magazine, MEG, MegaStyle.PH, Metro Magazine, Spot.PH, Status Magazine, TheMall.PH and WheninManila.com. when are you planning to do the same here at Cebu for 2016? LOL. I have no plans yet but let’s see! kainis, I missed this event! waaah! kelang ang next BU? OMG!!!.. I missed this event.. knowing that cheap ang prices :( superb sad!!!! too bad I haven’t seen u at BU5 however i bought a casing on my phone saying hello at ur booth and i love it! Thanks I hope to c u on the next #BU6. yes that one hope to have picture with u on next #BU6 thanks! awww sayang talaga as in SAYANG . Sabi kasi ni Mama hindi yata pwede bumili ng ticket nung mismong day saaaayaang kung nabasa ko lang to ng mas maaga naubos siguro allowance ko ahaha. anyway just a random question may binenta ka ba na rubber shoes dyan? Camille!!! I’m so happy I’ve finally meet you!! hinintay talaga kita kahit sobrang tagal mo dumating! hahaha! I wasn’t able to introduce myself properly dahil nagkagulo na ang mga girls nung dumating ka! good thing I was able to take a photo of us! kinikilig pa rin ako :)) next time masmaaga ako kc hindi ko nakuha ung mga shoes & tops na gusto ko…although I was able to buy your ombre shorts with stars and ung violet pumps (sugarfree) please let us know when is BU6? I missed this event again for the 5th time ; ( hope you will hold your own one day bazaar.because i am just interested with your collection and also for you to meet all your followers. Sana pumunta ako. Just to see you personally would complete my summer :) I love you! Too bad I wasn’t able to meet you there. I need to leave early kasi, I went there after my night duty eh. I even brought my Preview Magazine copy plus a pentelpen, (di ako ready) haha! para makapag pa autograph sa’yo. Hope to meet you very soon. I also want to attend the Blogger’s talk today, but I can’t. Work. Sana may part 2 itong Blogger’s talk niyo. hey ms. camille, will you be giving away tickets to tomorrow’s talk? wala na akong pera after spending a lot on BU5 eh. I wish I could attend your talk this Sunday. i envy those who are in manila :( you cant sell it online? hehe..
Aww sayang! So close na sana! omg so excited!! See you!! Haha :) May pout pa! My first comment since I am silent reader. I really really wanted to come tomorrow but for a lot reason of reasons I can’t. *sobs* Gusto ko pa naman kayo makita. Next year maybe and I will be a year older baka pwede na ko pumunta kahit mag-isa. Hehe. Yes next year! Fingers crossed! Kk! Just remind me tomorrow :) I can sometimes give Dory a run for her money with the amount of things I forget!